Abstract: Learn how to use pandas and python together to quickly and easily analyze large amounts of data. We will teach you how to use pandas to carry out your entire data workflow, from dealing with basic data cleaning and munging, to quickly creating visualizations through simple calls from pandas. We will work with real datasets and show you how to work with various data inputs and types of data, including dates and timestamps. We'll also discuss more complex operations, such as groupby commands and working with text data. Bio: Jose Marcial Portilla has a BS and MS in Mechanical Engineering from Santa Clara University and years of experience as a professional instructor and trainer for Data Science and programming. He has publications and patents in various fields such as microfluidics, materials science, and data science technologies. 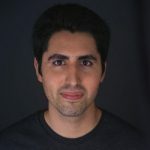 Over the course of his career he has developed a skill set in analyzing data and he hopes to use his experience in teaching and data science to help other people learn the power of programming the ability to analyze data, as well as present the data in clear and beautiful visualizations. Currently he works as the Head of Data Science for Pierian Data Inc. and provides in-person data science and python programming training courses to employees working at top companies, including General Electric, Cigna, The New York Times, Credit Suisse, and many more. Feel free to contact him on LinkedIn for more information on in-person training sessions. Head of Data Science | Pierian Data Inc.